Hyderabad , the city of Nizams and the capital of Telangana , houses a fast growing Industrial sector with its good inter and intracity networks , thus providing it opportunities for smooth Trade and Industrial Growth . Situated at the bank of Musi river , the metropolitan city has a sound population of 7.75 million , making it fourth most populous city of the country . The huge population means that there is a fair chance of setting up trade and commerce . And the same is happening with time . Lots of industries and trade have been set up post Independence in various sectors such as Information Technology , Household Goods Production , Manufacturing Industries , Small scale and Cottage Industries etc. with well connected transport services . These networks are good on both i.e. intercity and intracity grounds. Hyderabad is the largest contributor to the gross domestic product (GDP) ,tax and other revenues ofTelangana and the sixth largest deposit centre and fourth largest credit centre nationwide , as ranked by the Reserve Bank of India (RBI) in June 2012 . Its US$74 billion GDP made it the fifth-largest contributor city to India's overall GDP in 2011–12 . According to a 2005 survey , 77% of males and 19% of females in the city were employed . The service industry remains dominant in the city , and 90% of the employed workforce is engaged in this sector . Hyderabad's role in the pearl trade has given it the name "City of Pearls" . Industrialisation began under the Nizams in the late 19th century , helped by railway expansion that connected the city with major ports . From the 1950s to the 1970s , Indian enterprises , such as Bharat Heavy Electricals Limited (BHEL) , Nuclear Fuel Complex (NFC) , National Mineral Development Corporation (NMDC) , Bharat Electronics (BEL) , Electronics Corporation of India Limited (ECIL) , Defence Research and Development Organisation (DRDO) , Hindustan Aeronautics Limited (HAL) , Centre for Cellular and Molecular Biology (CCMB) , Centre for DNA Fingerprinting and Diagnostics (CDFD) , State Bank of Hyderabad (SBH) and Andhra Bank were established in the city . The growth of the financial services sector has helped Hyderabad evolve from a traditional manufacturing city to a cosmopolitan industrial service centre . Since the 1990s , the growth of information technology (IT), IT-enabled services (ITES) , insurance and financial institutions has expanded the service sector , and these primary economic activities have boosted the ancillary sectors of trade and commerce , transport , storage , communication , real estate and retail . Many traditional and historic bazaars are located throughout the city , Laad Bazaar being the prominent among all is popular for selling a variety of traditional and cultural antique wares , along with gems and pearls. The city has a good establishment of drugs and pharmaceutical companies like IDPL . As of 2010 , the city manufactured one third of India's bulk drugs and 16% of biotechnology products , contributing to its reputation as "India's pharmaceutical capital" and the "Genome Valley of India" . Hyderabad is a global centre of information technology, for which it is known as Cyberabad (Cyber City) . 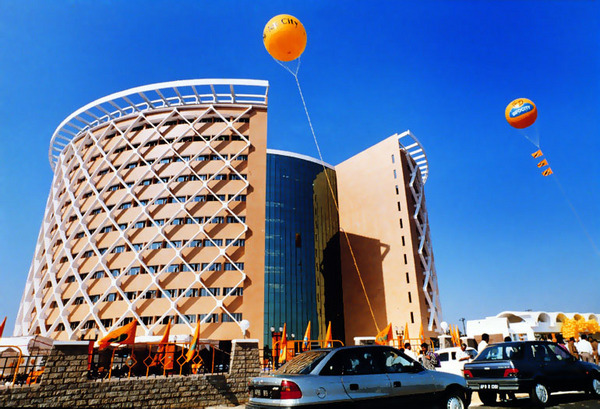 The development of HITEC City (Hyderabad Information Technology and Engineering Consultancy City), a township with extensive technological infrastructure, prompted multinational companies to establish facilities in Hyderabad. The city is home to more than 1300 IT and ITES firms, including global conglomerates such as Microsoft, Apple, Amazon, Google, IBM, Yahoo!, Oracle Corporation, Dell, Facebook and major Indian firms including Tech Mahindra, Infosys, Tata Consultancy Services (TCS), Polaris and Wipro.In 2009 the World Bank Group ranked the city as the second best Indian city for doing business.The city and its suburbs contain the highest number of special economic zones of any Indian city. Strong intracity and intercity networks in Hyderabad are the basis for smooth transport services . 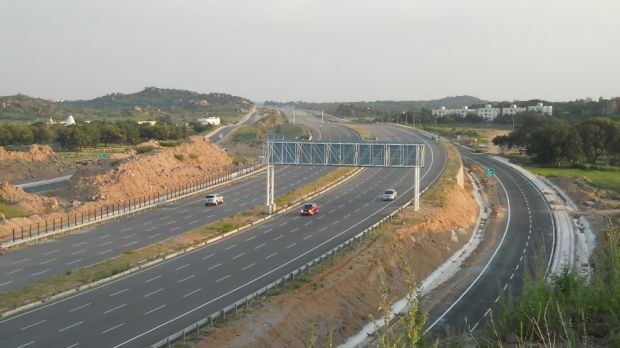 Hyderabad is well connected to many other locations in India, such as Adilabad, Bangalore, Mumbai, Delhi, Kolkata, Kochi, Nagpur, Chennai, Pune, Visakhapatnam and Vijayawada, either directly or through intermediary locations.Various flyovers and roads are being continuously constructed to provide it ease in transport of heavy vehicles . Many companies have been emerged to provide truck booking facilities for traders and industrialists . With growing digital world , now you can book these services online using various websites like GoodsOnMove which provide you a simple and easy booking service and saves your time , money and hassle!! No Comment to " HYDERABAD-Industrial Development Post Independence "